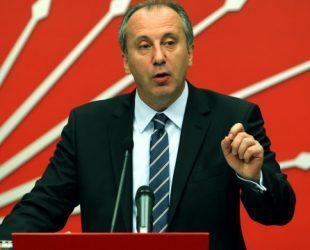 Muharrem Ince was born on 4 May 1964 in Yalova, Turkey. Is a dissident politician who lives capital city of Turkey, Ankara. Experienced politician was elected in 2002, 2007, 2011 and 2015 general elections. His paternal grandparents originated from Thessaloniki in Greek Macedonia, maternal grandparents from the Black Sea coast, North of Anatolia. He announced his candidacy as President of the Republic in general elections to be held on 24 June 2018 in Turkey, Against the Justice and Development Party’s (Turkish: AKP) Leaders Recep Tayyip Erdogan. Education: Balikesir University, Faculty of Education, Physics-Chemistry Dept.